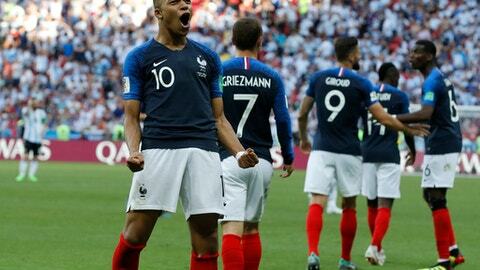 MADRID (AP) Real Madrid has denied reaching an agreement to sign France forward Kylian Mbappe from Paris Saint-Germain. The denial comes two days after Madrid dismissed a report that it had offered to buy Neymar from PSG for a world record transfer of 310 million euros ($360 million). PSG is under pressure from UEFA to raise cash from selling players. The French club needs to comply with ”Financial Fair Play” rules which monitor overspending on transfers and wages. PSG spent a record 222 million euros ($260 million) last year to buy Neymar from Barcelona. Real Madrid star Cristiano Ronaldo hinted after the Champions League final that he may leave the Spanish club. He has not talked about his club future since joining Portugal for the World Cup.